Lucas Ransom, a 19-year-old UCSB student, was attacked and killed by a shark this morning while boogie boarding at Surf Beach, police reports say. Ransom was in the water approximately 100 yards off the beach at 8:50 a.m. when a shark suddenly appeared and towed him underwater. A press release from the Santa Barbara County Sherriff’s office said Ransom sustained a massive wound to his left leg from the attack. When the Santa Barbara Coroner’s detective arrived, Ransom had already been pulled out of the water by a friend and other witnesses. He was pronounced dead at the scene. The shark was described as being approximately 14 to 20 feet in length. Officials are currently working to identify the type of shark. Officials have also ordered the closure of Surf Wall, Minuteman and all other base beaches for the next 72 hours, and the County Parks Department is posting warning signs at other county beaches. 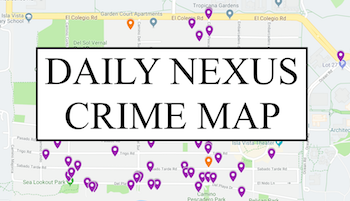 As of 2:30 p.m., the Santa Barbara Coroner’s Office and Public Information Officer Drew Sugars were unable to comment on the situation. 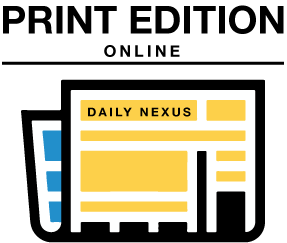 The Daily Nexus will provide updates as more information is released. Associate Vice Chancellor for Public Affairs Paul Desruisseaux confirmed that Lucas Ransom was a third-year chemical engineering student from Romoland, a city located in Riverside County, California. Ransom attended Perris High School. He worked at a Murrieta, CA community pool as a lifeguard in 2007, and was honored by the City of Murrieta when he and two other lifeguards saved a young boy’s life. Ransom is in the middle. He was 16 at the time. Other Murrieta lifeguards Jeff Rupert, then 22, is on his left and Priscilla Selvaggio, then 17, is on his right. The photo is from The Press-Enterprise website. The friend in the water with Ransom at the time of the attack was 20-year old Matthew Garcia, a fellow UCSB student and Ransom’s roommate. Ransom and Garcia knew each other from high school, where they were on the water polo and swim teams together. Garcia was just two feet away from his friend when the shark struck. Garcia managed to find his friend and began to perform chest compressions as he swam Ransom to shore. Unfortunately, it was already too late, as Ransom had lost a significant amount of blood. Due to the size and reported white underbelly, the shark was most likely a great white. This makes me incredibly sad. I can’t fathom the death of one our own. My prayers goes with his family. I personally knew Lucas and Matthew is one of my best friends. They were always safe when ever they serfed. They were the best and friendlyest people i ever knew. RIP Lucas Ransom! My thoughts go out to the Ransom family. I’d like to contribute to the scholarship fund when its set up. LIFE is precious and irreplaceable. Even during our toughest times in life, it’s still good. One can’t take it for granted. You never know when your time will come to leave this world forever. RIP Lucas…WE LOVED YOU MAN !! Surf is about as scary a spot as you’ll find. This is a very sad and sobering day for all those who’ve ridden waves at UCSB. Let Lucas’ death be a reminder of the privilege of life that we all enjoy. Even as young adults we cannot predict the future, or determine when our life will end. Live fully, cherish your experiences, and do not let fear constrain your actions. All activities have inherent dangers and that should not dissuade people from undertaking them. Rip Buddy. It shows how the best of us can meet a short end to our early lives and we should cherish every moment of it.